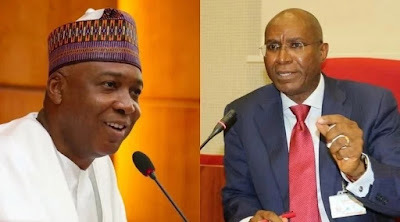 Few days after Senator Omo-Agege boasted that they won't allow anyone linked to Bukola Saraki get close to senate leadership, a court has ruled that he and others in Delta APC are wrong candidates. The Federal High Court sitting in Asaba yesterday sacked the Jones Erue-led executive of the APC in Delta State. In its two-hour judgment, the court, presided over by Justice Toyin Adegoke upheld the Cyril Ogodo-led Delta APC faction in the state, declaring the executives as duly elected. purportedly taken by the Erue-led executives were null and void, thereby nullifying the candidacy of those who emerged from the primaries conducted by the Erue-led executives. 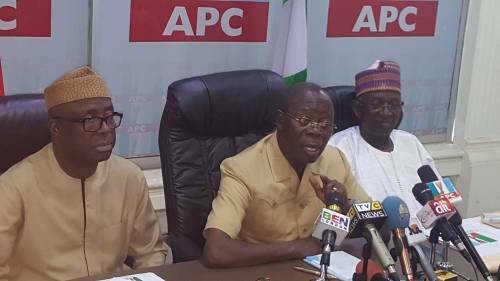 “The Primaries conducted by Mefor Progress, those are the authentic names,” Mr Ekpe stressed. “We will look at the judgment, and see what we are going to do, but hopefully we are going to appeal against the judgment. I am very certain that the appeal will be favourable,” he said.